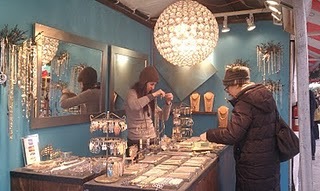 Jessica Kelly happened upon our booth while exploring the Columbus Circle Holiday Market last month. She describes KTC as “sleek and stunning….with the perfect blend of style and culture” in her blog, The Embellished Life. Find out how you can win our amazing adjustable ring by reading the story.